In recognition of the 10th anniversary of the magazine, I illustrated the issue with typographic compositions on the cover and interior pages. 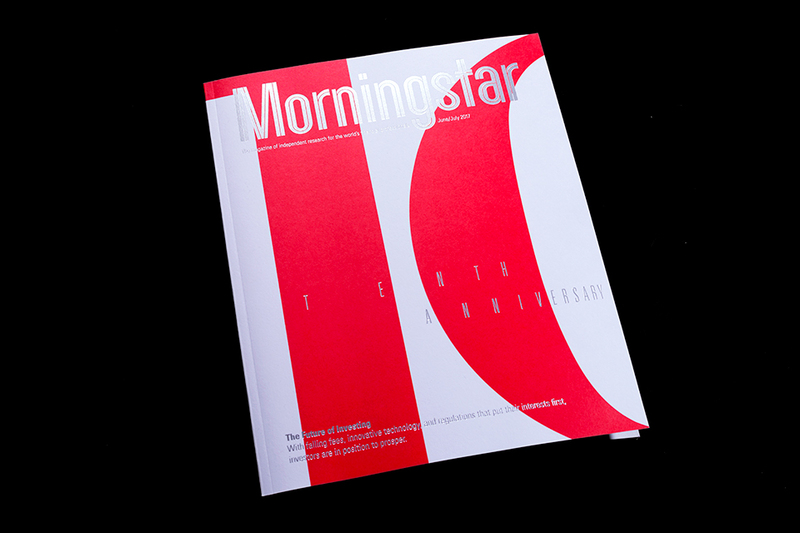 The large "10" in Morningstar's signature red on the cover represents the magazine's accomplishments over its first 10 years, while the spacing of the "tenth anniversary" type is designed to pull the reader forward into the future. This sentiment is reinforced on the interior compositions. 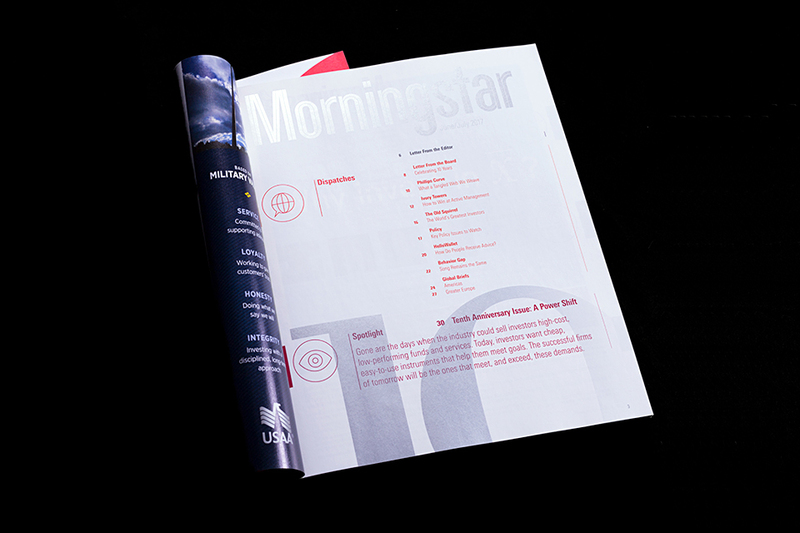 The cover utilizes a foil stamp and the interior spreads use metallic ink in reference to tin: the metal associated with 10-year anniversaries.